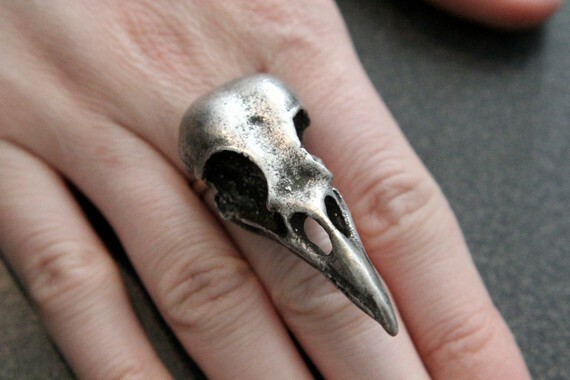 Alexander McQueen's bird skull ring retails for $295 at Saks and also comes in silver. If you like the style of the Alexander McQueen version but can't quite stomach the price, check out these options that reader Ellen sent to me via email. The first is from Urban Outfitters and retails for $18, click on the photo below for more information. The Etsy store Moon Raven Designs has a great option in silver, which retails for $28. Click HERE to view the ring, and she also makes necklaces with this design - click HERE to view all of the bird skull options she has available.